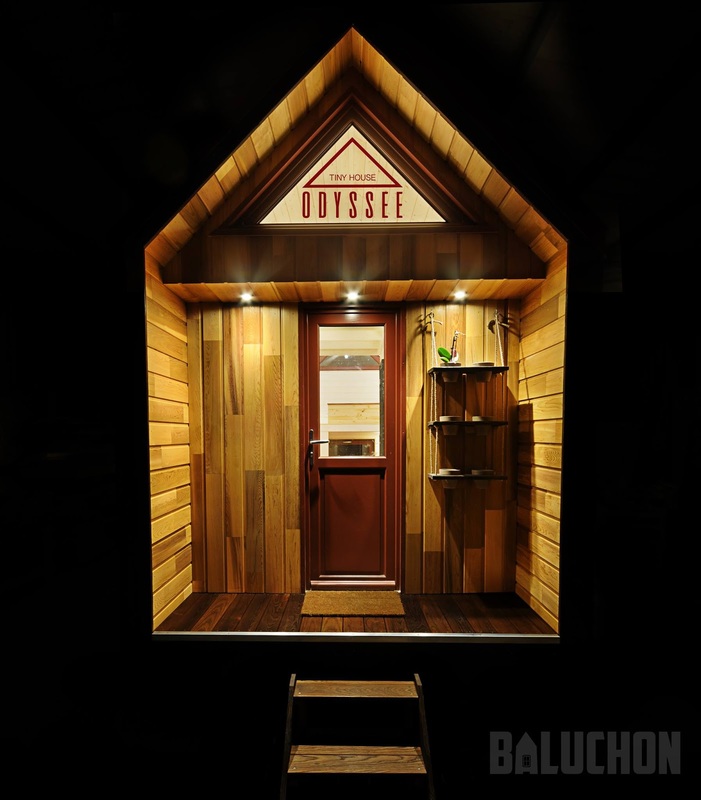 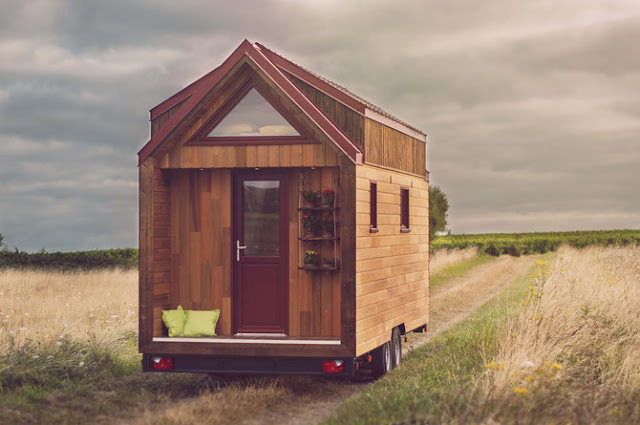 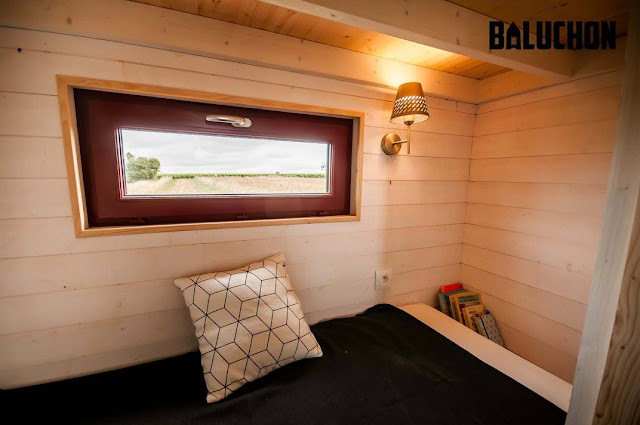 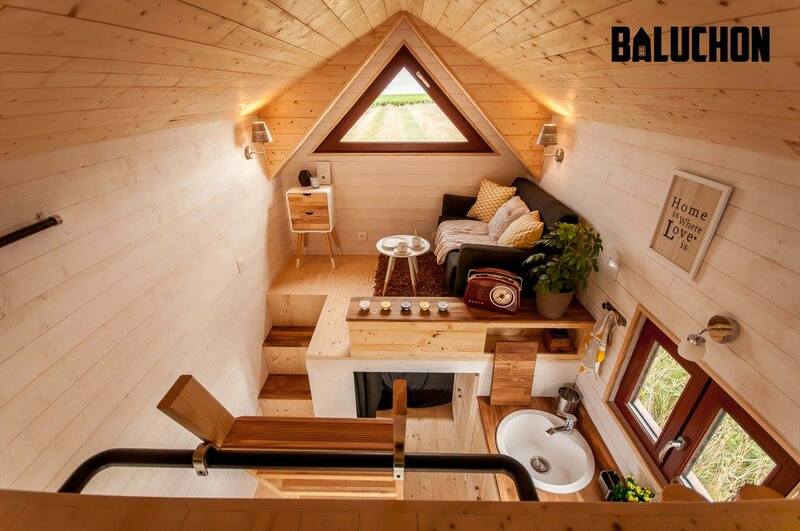 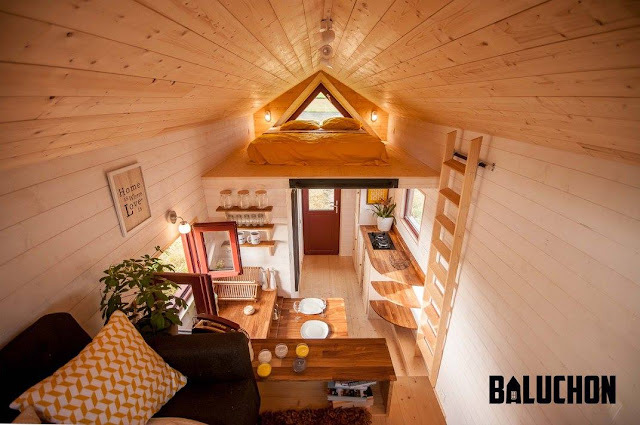 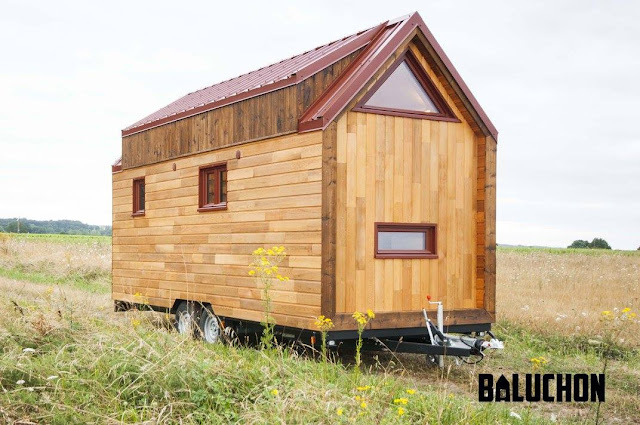 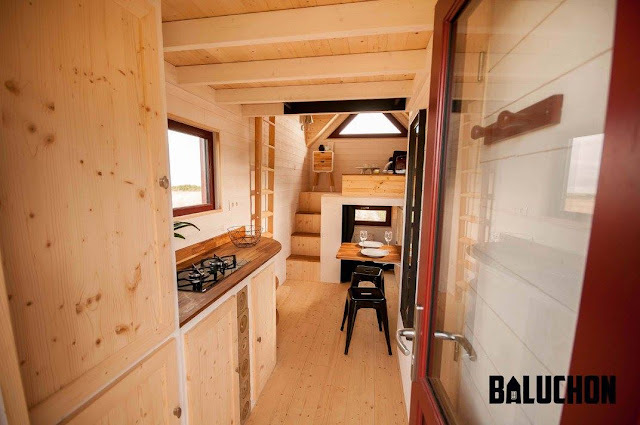 From the French tiny house company, Baluchon, is the beautiful tiny house on wheels named the Odyssey (French for, you guessed it, “Odyssey”). 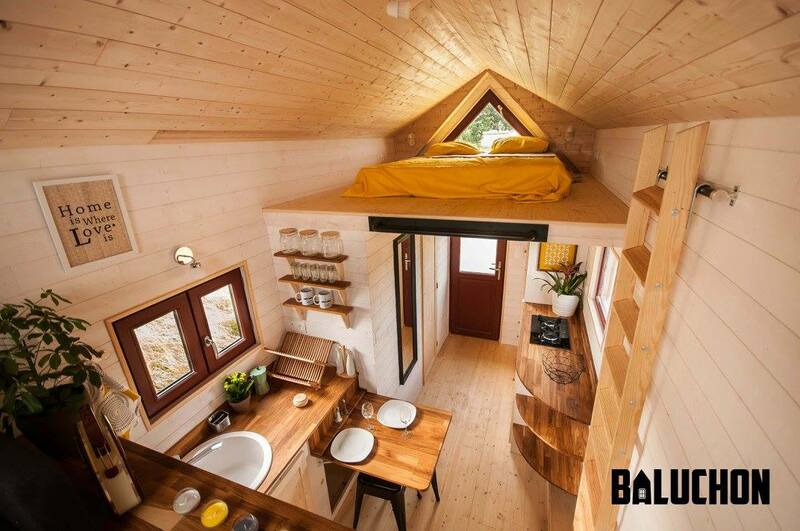 The home measures 217 sq ft with an additional 54 sq ft loft space. The home’s kitchen comes fully outfitted with appliances. 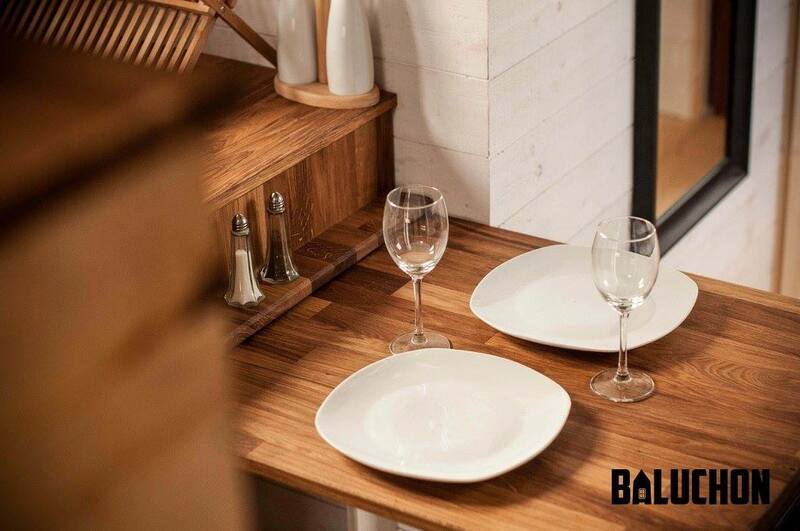 It also has a foldable oak table that can fit up to three people. 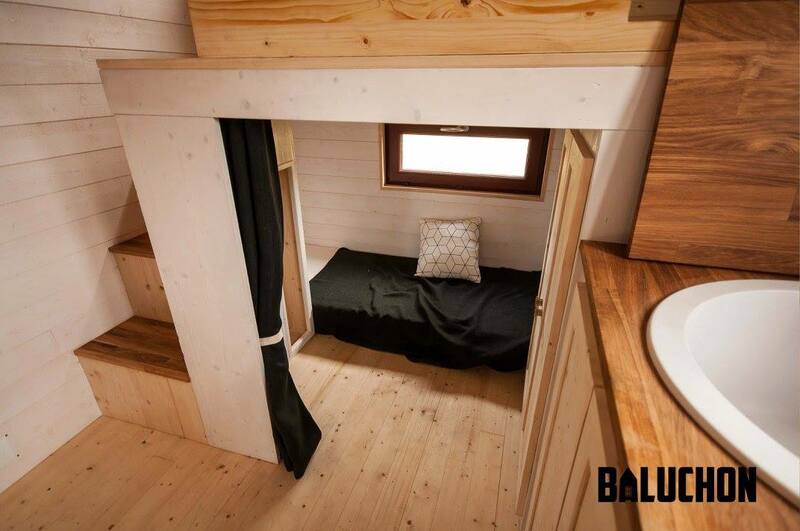 The upstairs bedroom is large enough for a queen-sized bed. There’s also a small second bedroom on the ground floor, perfect for a child or visiting guest. The Odyssee also has a bathroom with a dry flush toilet. 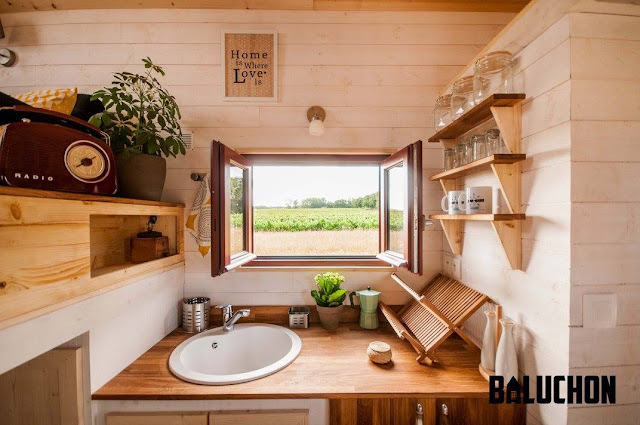 The home can be connected to power with an extension cord, and to water with a hose. 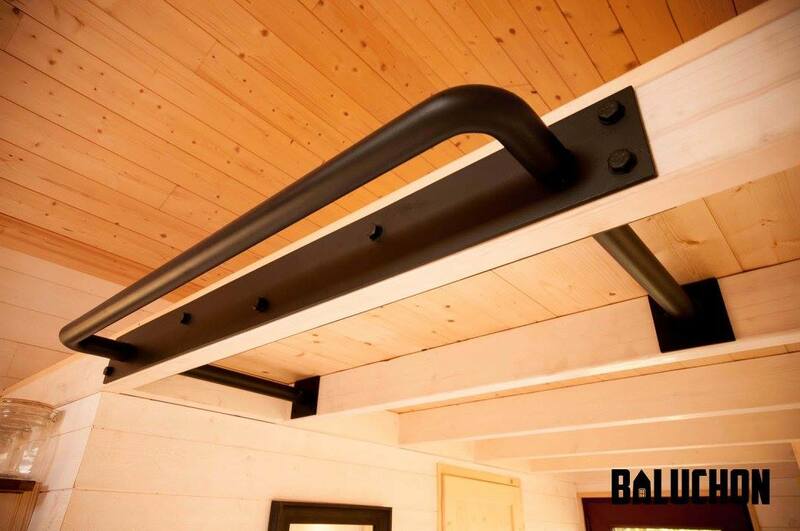 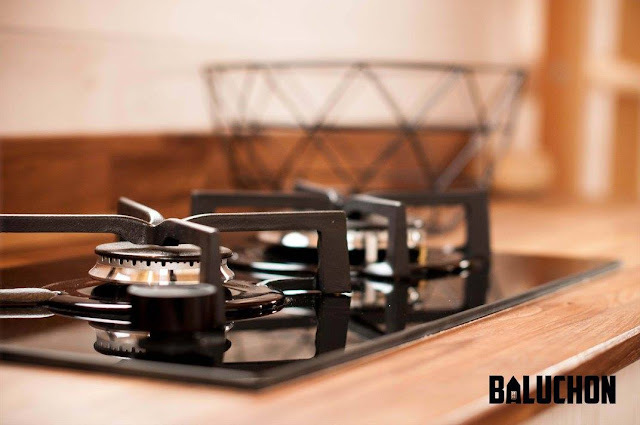 If you like this home, be sure to check out the Escapade and the Baluchon/Laecitia, also by the same company!